Do you know about all of the tax deductions and utility rebates available for businesses undergoing lighting retrofits? “Retrofit” is not a new concept in the world of energy-efficient lighting but it sure seems to be the hottest buzz word in energy efficiency, and for good reason. Businesses across the world are revamping their lighting systems and saving millions of dollars as a result. Just in the restaurant industry; McDonald’s, Burger King, Red Robin, IHOP, Chili’s, Starbucks, and Applebee’s have all initiated or completed LED retrofit projects. The opportunity to improve efficiency, reduce energy consumption, save on power bills, and cut replacement & maintenance costs is up for grabs for anyone that can afford to front the initial investment. However, that initial investment is not such a staggering figure, thanks to government incentives. Read on for an overview of some of the available options. Allows you to write off the complete cost of upgrading a building’s indoor lighting in the year the new lighting is placed in service. Expiration date recently extended. CBTD can now be claimed for qualifying projects completed before January 1, 2014. 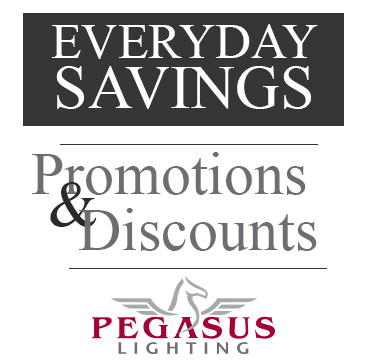 Deduction is capped at 60 cents per square foot savings if you only upgrade the lighting system. If you upgrade the lighting, the HVAC/hot water systems and the building envelope features, the deduction is capped at $1.80/square foot. Wondering if your project might quality? See details on requirements and building types covered. Over 30% of facility managers don’t know about this tax deduction! Businesses purchasing new equipment (that is depreciable property) in 2011 can substantially reduce their tax bills by writing off 100% of the cost. This act enables businesses to recover the costs of investing in a lighting upgrade quickly. It creates a 100% bonus depreciation (bumped up from 50%) for property acquired between September 8, 2010 and December 31, 2011. After December 31, 2011, the bonus depreciation will go back to 50% through 2012. There is no dollar level cap. The entire purchase may be deducted against U.S. taxable income. *Please note that this article is not intended as legal advice. You should always consult a tax professional with your specific questions. Good to know about the tax right off’s for retrofitting. Makes it more affordable for small businesses. Hello Emily, do you have any information as to “interior lighting” qualifying as 100% depreciable asset? My customer is questioning this and there is some debate within his office. Thanks! I can see why there’s a debate – qualifying projects are not specified very clearly. I’m not a legal expert, so I would recommend you ask a tax professional to be 100% sure. However, I did come across this post from a tax firm indicating that interior lighting doesqualify (see #11 on the list). Will You Help Us Build A Better Web Page?